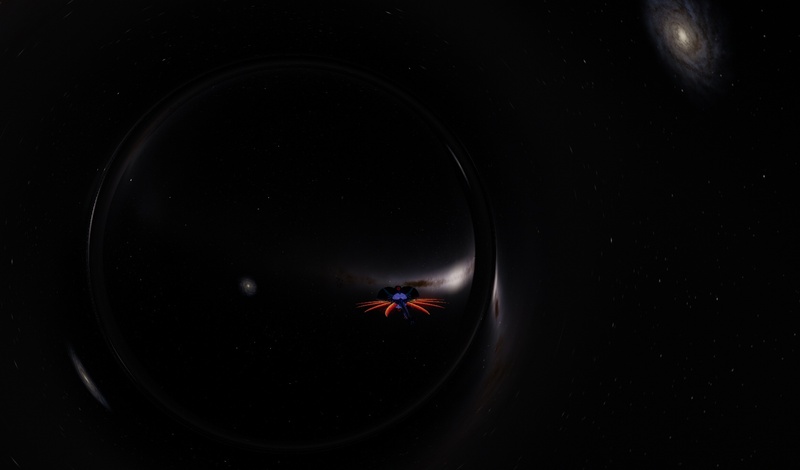 I was messing with a black hole in the space engine editor and I found a "Z" type option which made it turn into a wormhole. 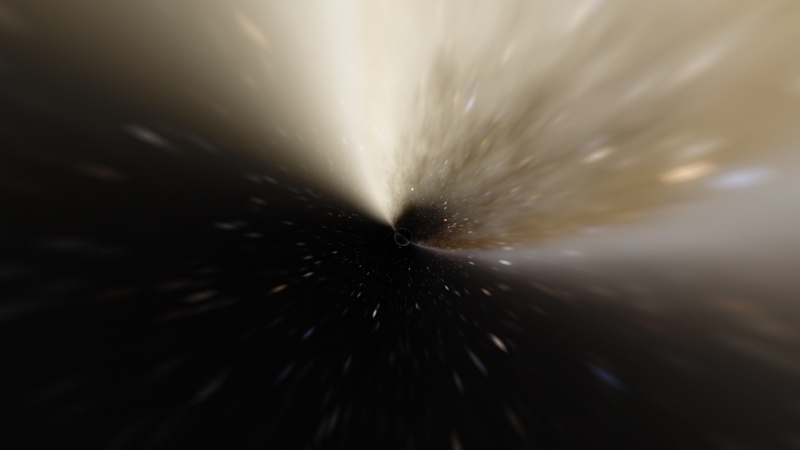 It's basically a black hole but without blueshift, redshift, and the blackness. The wormholes are currently not yet usable. This will probably be possible in a later version of Space Engine. Where messing with the editor and detected the wormhole class. What's up with it? Is it going to be a future thing in the simulator? Also making their sphere render the surroundings of the other side would be cool if it is something they work on. As you can see it is like a black hole just that there is a spherical reflection of the surroundings at the "usual event horizon" of an black hole. Zefnoly, I have merged your thread with another similar thread, please use the search function it exists for a reason. 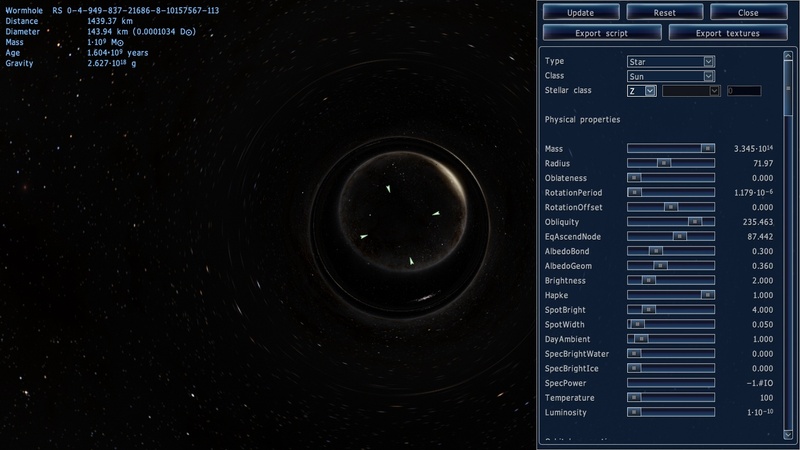 Wormholes were added as an experimental feature and are not complete. 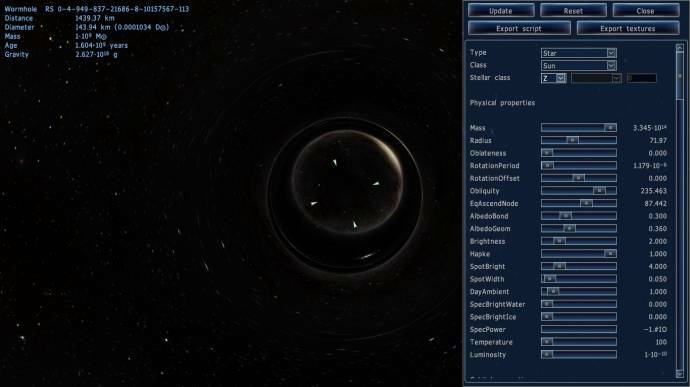 In a future version they will be finished and can be connected to other wormholes in catalog addons, wormholes will not be added procedurally.